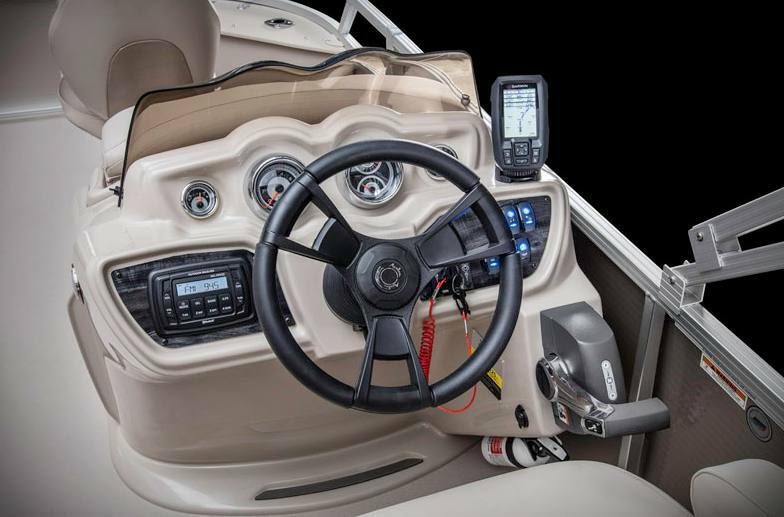 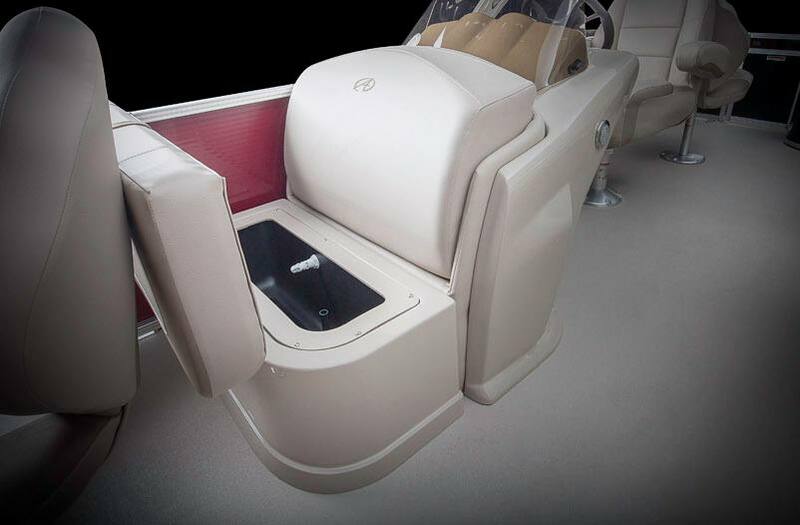 LSZ Fish models offer the comfort of pontoon boating with the fishing features any fisherman will appreciate. 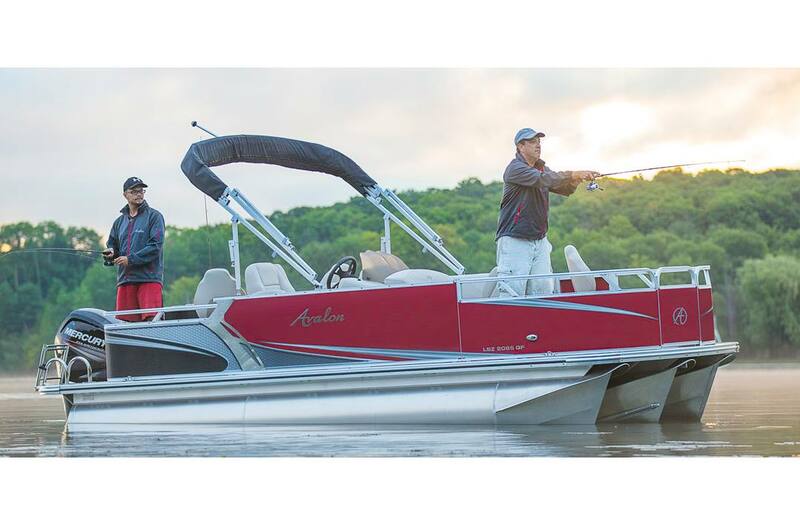 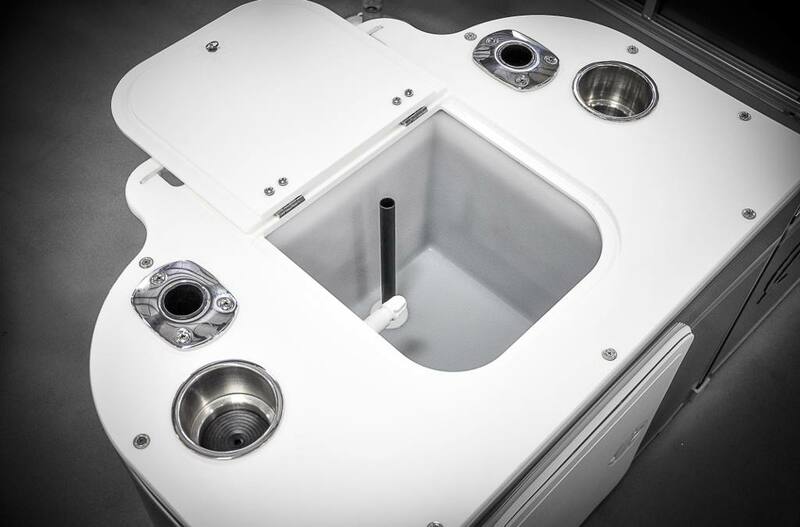 These fishing machines are offered in two layouts and both Feature a rear fishing center with baitwell with built in rod rack. 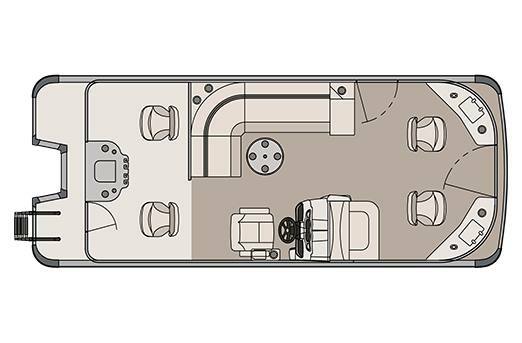 Choose either the Quad Fish, Fishing first and cruising second model which includes 4 fishing stations, bow corner storage with rod holders, cupholders, & helmstand livewell, or the Rear Fish that features a full cruising furniture group along with 2 rear fishing stations.